Consider learning Italian at your own pace and with flexible learning time with Parola school. 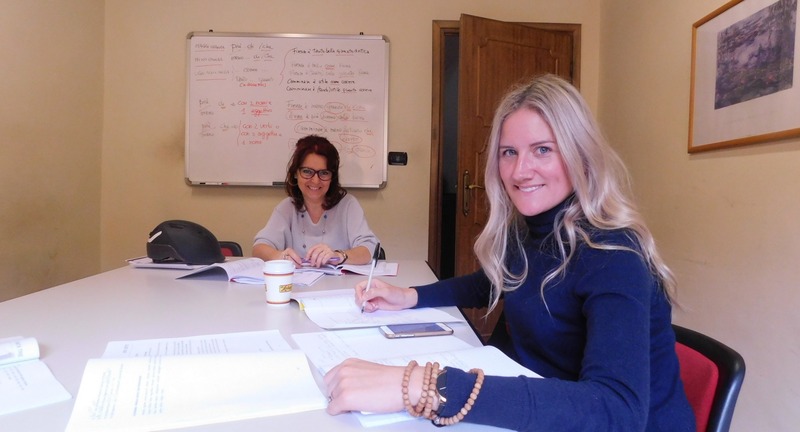 An individual Italian language course in Florence is the best way to quickly and intensively learn both written and oral Italian at an affordable course price and with a ductile training time. Please contact Parola Italian language school to let us know your specific language goals or requirements (i.e. improving your grammar or Italian conversation, etc.). We will then select a teacher who would best meet your language needs and formulate a personalized schedule for your private Italian language course. Contact us for further information about our one-on-one Italian language courses in Florence. Parola school provides convenient car parking for students who are enrolled in our private Italian language program for more than 2 weeks. Please, contact our language school in Florence for further information.